It was great to see so many of you recently at the Fall Frolic. What a great turnout for such a fun event. I want to offer a gigantic thank you to Julie Young for once again orchestrating it all, and gratitude to all the volunteers who helped make it happen. We had great participation and lively discussion at the last PTSA community meeting focused on our science program with Ms. Sexton and Mr. Dyer. I am looking forward to the next one on Monday, November 14th where Mr. Avison and Mr. Levear will lead a similar conversation on the arc of mathematics our kids experience from kindergarten through 8th grade. This meeting will also feature Kristin Doherty, Winterhaven parent and volunteer with Moms Demand Action for Gun Sense in America, introducing the SMART framework to help parents and adults prevent child gun deaths and injuries - come hear what it's all about and learn how to help keep your child safe. Final, a BIG thank you to all the families who have already contributed to the Pledge Drive. These contributions allow our teachers to offer field trips and other special programs and activities to our kids, fund the elementary and middle school electives treasured by our youngsters, make Battle of the Books books more accessible to participants, improve our emergency preparedness and so much more. If you have not yet pledged, there is still time to do so and take advantage of the 2016 tax deduction. Contributions large and small are welcome through the Donate button on our website or by dropping a check to Winterhaven PTSA at the office. Thank you! Box Tops raise money! – Lots of companies have joined the Box Tops program – Cascadia Farms; Zip Lock; General Mills products; Annie’s Organics; Nature Valley – the list goes on and on. In fact, here’s a link to the full list of products - http://www.boxtops4education.com/earn/participating-products. Look for a coupon like the one below; clip it; and stuff it into the bag hanging on the PTSA bulletin board outside the School Office. It’s easy. And it works! Winterhaven Directory The Winterhaven parent directory DRAFT is available now – Please review your information to make sure it was correctly transcribed before we finalize the directory for the school year. This directory is tied to the winterhaven domain, and in order to view / comment on this directory, you must be logged in to Google using your winterhavenschool.org user id. If you don't know your password (or user ID which is typically firstname.lastname@winterhavenschool.org), you will need to send a request to reset it or request it through admin@winterhavenschool.org. 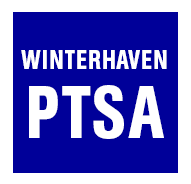 Your directory information is (hopefully) on each tab for the grade in which you have a child attending Winterhaven at this site address http://tinyurl.com/hob5x6s. It is comment only in Google Sheets in order to prevent anybody else from editing your personal information. Any parent who opted out of the directory on the PTSA Communication Permission Form has had their information redacted. Shamrock Run! Join the Winterhaven Team for the annual Shamrock run. If we get enough participants we can raise PTSA funds while keeping our bodies moving! The event is on Sunday March 19, 2017 and register for team 8705. Contact marisha.childs@gmail.com. Parent elective helpers needed Friday mornings this autumn! Middle School electives run 10/28, 11/18, 12/2, 12/9 & 12/16 from 8:30-10:10 am. We need helper parents to support our awesome teachers in classes like Multicultural Foods! Holiday Crafts! Variety Show! Classic movies! Yearbook! Improv Theater! If you have an extra hour or two on Friday mornings, we would love your assistance!! Community Events: Community Events Coordinator needed: Partner with the PTSA Volunteer Chair to support several key events throughout the year, including coordinating childcare for PTSA Community meetings, and organizing volunteers for Move-Up day and the Spring Carnival. If you are interested, please contact Kari Key at volunteer@winterhavenschool.org for more info. Lost and Found needs YOU: Five minutes, one day a week!! If each parent spent just a few minutes, one day a week at the school hanging up 3 jackets, rinsing out one lunchpail, or throwing out one bag of leftover food, we would never have a stinky lost and found again! This is the shortest volunteer job you could ask for - and SO NEEDED!! Native Garden Make-over! Volunteers planted dozens of native plant species, pruned shrubs, moved five cubic yards of compost, and restored the native area around the driveway. Thank you to all of our awesome community members who came together and gave our native garden some love. A big thanks to Cindy Hayford for delivering the plants and to Fawn Lengvinis for organizing! It takes a village to raise a forest. Your work is going to give our kids a great year of exploration.